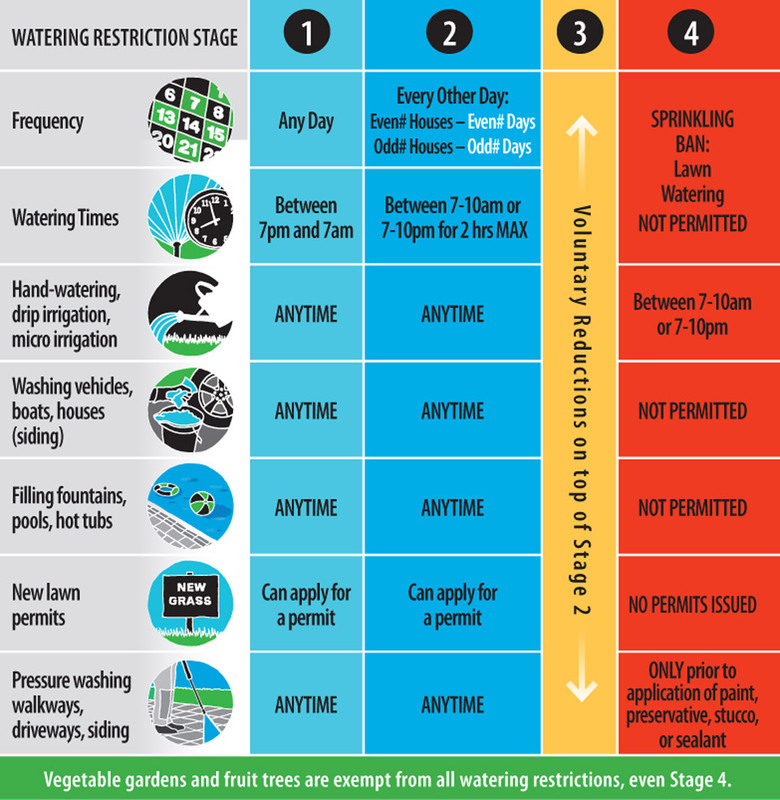 What watering restrictions are in effect where you live? Note: Private wells are not subject to municipal watering restrictions, but conservation is encouraged because water is a shared resource. Private wells are not subject to municipal watering restrictions, but conservation is encouraged because water is a shared resource. Hand watering must be done using a hand-held container or a hose equipped with a shutoff device. Micro-irrigation and drip-irrigation consist of water delivered to the root zone of a plant, and use less than 20 gallons per hour at less than 25 PSI. Washing vehicles, boats, and houses (siding) must be done using a hand-held container or a hose equipped with a shutoff device.